This pattern of disposable tableware is definitely eye catching.It features a crisp white border with red, orange, yellow, and green sunflowers around the edges. It is sure to add a cheerful touch to any spring or summer event. 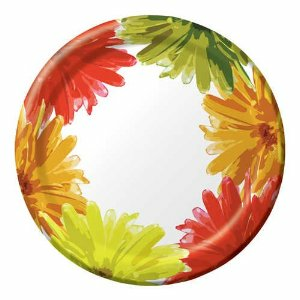 Suncatcher 9" Floral Paper Luncheon Plates 8ct.